'The climate crisis has reached the point where we just don't have room for huge new flows of carbon into the atmosphere,' says the author of End of Nature, the first book on global warming for a general audience — but he has causes for hope. 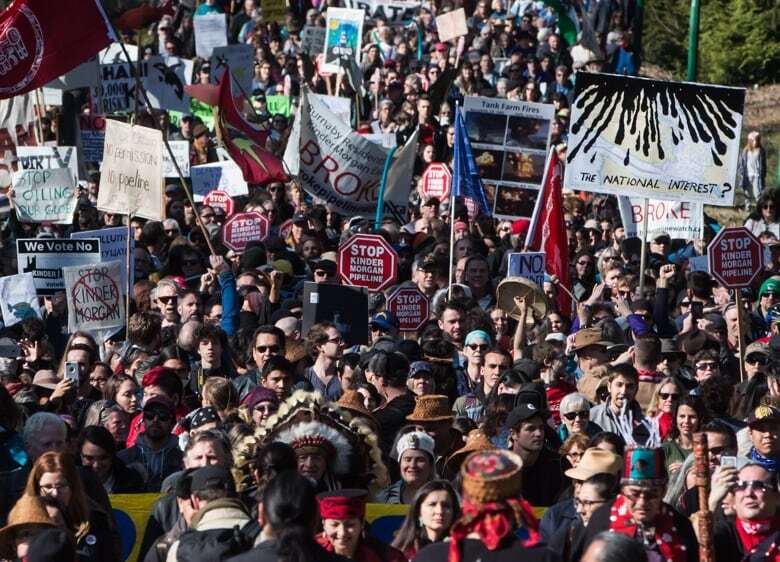 A prominent U.S. environmentalist who, 30 years ago, wrote the first book on global warming for a general audience visited Vancouver on the weekend to bolster opponents of the Trans Mountain pipeline expansion and help raise money for their legal defence fund. Bill McKibben, author of End of Nature and more than a dozen other books, also toured the Kwekwecnewtxw, or First Nation watch house, in Burnaby, B.C., which lies adjacent to the Kinder Morgan tank farm where more than 200 people have been arrested for breaking a court-ordered injunction. McKibben, 57, says he's impressed with the commitment and calmness of protesters vowing to keep the pipeline from being built. The founder of 350.org took questions at CBC News Vancouver on Sunday. Why was it important for you to come here? People all around the world are watching what's going on on Burnaby Mountain right now. The key issues for most people here are, what will happen when the oil spills into Burrard Inlet and what does it mean for ... Native sovereignty? For the world there is also the dimension of, we need to keep that carbon in the ground. The climate crisis has reached the point where we just don't have room for huge new flows of carbon into the atmosphere. 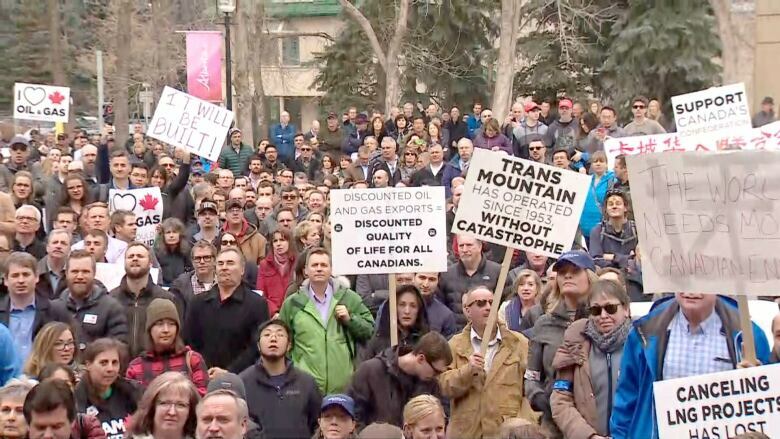 What do you make of polls saying it's a vocal minority that is against the project, and that the majority of Canadians support this pipeline? In the end, political reality and polling results and things are important ... but it gets trumped by reality. Physics doesn't care what the polling results are. If we put that carbon in the atmosphere it's going to heat the planet. How do you keep going on this message for decades? There are times when it's quite depressing and the things that buoy me up are, one, that there is a big movement that has risen around the planet. Two, unlike 30 years ago, we know what the answer is. The engineers have done such a good job in bringing down the cost of sun and wind that they're the cheapest way to generate power in most of the world now. Three, I hold out hope that when change comes, it will come quickly. The only thing that worries me is what a short period of time we have. Climate change is the first really timed test that humans have come up against. If we don't solve it soon, we won't solve it. How can proponents of the project and protesters try to reconcile? The pipeline is a binary project. You either build it or you don't, right? So people have to take a stand. But I think that there is endless room for reconciliation over time. It's very clear, for instance, where the jobs of the future lie — they lie in this conversion to renewable energy. What parallels do you see in opposition to projects in the United States and here in Canada? Everywhere with this fight, the message is the same. The past wants to just keep going a little while longer: one more pipeline, one more coal mine, just extend the business model another 10, 15 years, whatever. But more and more people are realizing that we can't do that anymore. It's at this point in human history, with the temperature rising, with the ice melting, with the chemistry of the ocean changing, we're at the point where we have to embrace the future and move quickly toward it. What's your message to the average citizen who reads all these news stories but doesn't really know what to think? If you really think that your grandkids are going to be powering their lives the same way we are and that that's going to work out alright, then the pipeline might make sense. But if you have any sense of where the future is going and any hope that we might be able to move it in a better direction, then this is precisely the kind of place to draw the line. 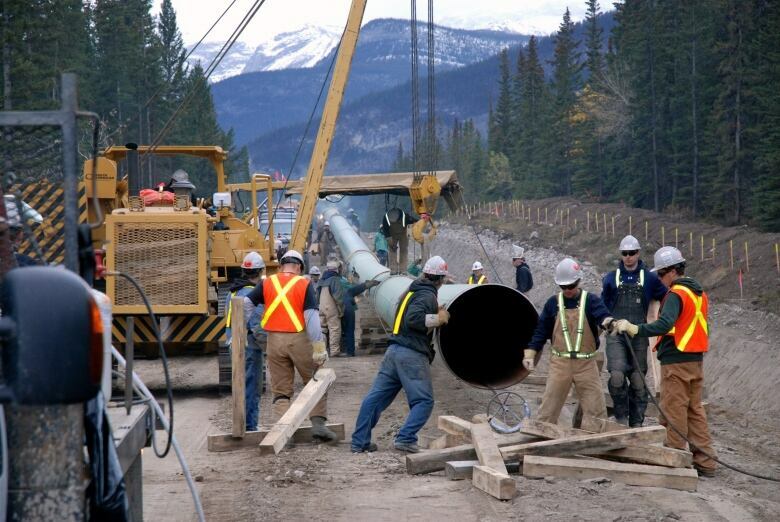 Is Eagle Spirit Energy's pipeline the new Northern Gateway?